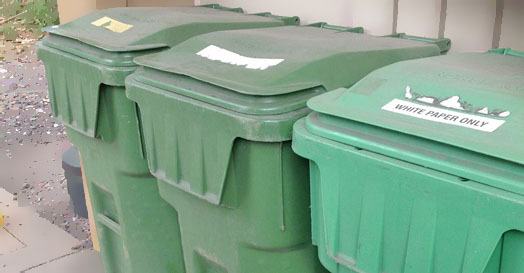 This page describes the program for recycling and disposing of refuse at the University of Hawai‘i at Mānoa, and explains the protocols for a number of categories of refuse. UH Mānoa is committed to working towards sustainability and reducing our environmental footprint. 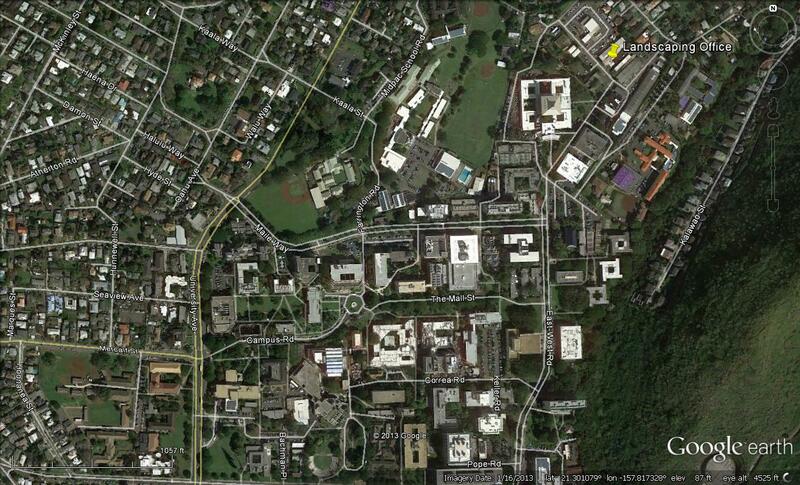 We have recycling bins across campus (see map!) and have recently installed new signs to aid in properly sorting recyclables and refuse. Buildings and Grounds Management (BGM) is working with student groups to increase education around recycling and sustainability, following the "reduce, re-use, and recycle" strategy of waste reduction. People arriving in Hawai‘i from one of the continents are often surprised to find recycling options more limited here. Recycling still takes resources, particularly in transportation, and the distance from our islands to processing facilities makes recycling some materials unfeasible. For instance, we cannot recycle all kinds of "recyclable" plastics here, such as those used in Starbucks and Jamba Juice cups, and so those become mere rubbish here, a strain on waste disposal systems and a threat to the marine environment. Consequently, we work with the campus community to reduce our use of disposable products as much as possible. There's been a dramatic reduction in newsprint recycling with the shift to online news sources, and as KaLeo has improved the efficiency of its press run. It's been good to see the growing trend towards use of personal water bottles, drinking vessels and eating utensils, and we are working to promote the wider adoption of the Japanese tradition of personal hand towels (tenugui). If you have suggestions for ways we can better support reduced consumption, please don't hesitate to let us know. 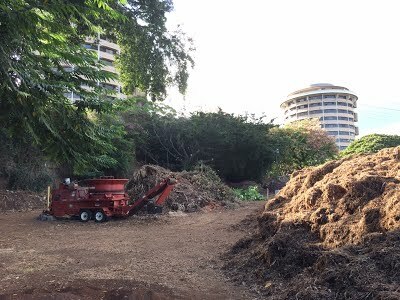 UH Mānoa has several programs to reduce both the production of waste and the consumption of new materials through the redistribution of used goods to places where they can find further use. Departments can use the online UH Swap Meet to list used office, computer and lab equipment, or ask for equipment they need. UH also participates in a similar State of Hawai‘i program, described below. On an informal level, some groups on campus have organized unofficial "free stores" to exchange art supplies, plant seeds, books and other items. At BGM/Landscaping, we have a wonderful "green waste" program which keeps plant nutrients and biomass on-site. Green waste is collected daily by Landscaping Working Supervisors from each maintenance zone on campus and is transported to our processing area at Lower Campus. The green waste processing area is located between the football practice field and the quarry wall, right below Frear Hall. The green waste is placed in the hopper of a large tub grinder and ground up and placed in long piles no more than 8' high. The piles are turned weekly for several months and then distributed throughout campus to be used as mulch in planter beds and around trees. This save the campus $20,000 annually in tipping fees alone! We no longer purchase soil conditioner or mulch and we are able to provide cover mulch to our contractors as needed to protect our soils from eroding during construction at no cost to the project. To help us determine how much mulch we are creating and to provide us with a metric we measured the amount of time it took us to grind 3 cubic yards of mulch and we weighed the finish product. We then had an understanding of how many tons of mulch we were able to produce in a given time. Finally, for those materials we do end up needing to throw away, we have a variety of means of recycling them through different pathways, with disposal through H-Power or the landfill being the last resort. The charts below show our recent history, although we lack the data for some categories because of the way the material is collected, including the last few years of green waste and ewaste. The amount of trash, especially going to the landfill, has declined as our recycling efforts have improved. 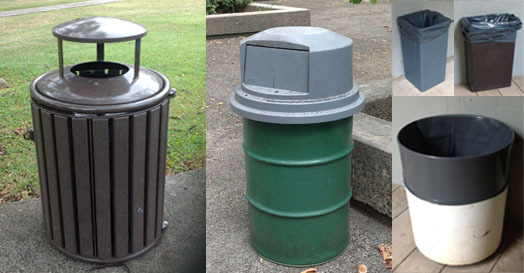 The section below describes the receptacles located throughout the UH Mānoa campus. Please click here to go to our new recycling/refuse map to find the correct receptacle nearest to you. See our Recycle vs. Trash flyer for information on sorting refuse, and visit the EHSO website for all categories of Waste Disposal Procedures. All newspaper, white & colored office paper goes in these green toters. Bagged shredded paper can also be deposited in this bin, and staples are okay. Please see our map above for exact locations. Bins are emptied every Monday. No telephone books, rubber bands, magazines, binder clips, metal prongs, spiral binding, bound books or manila folders. 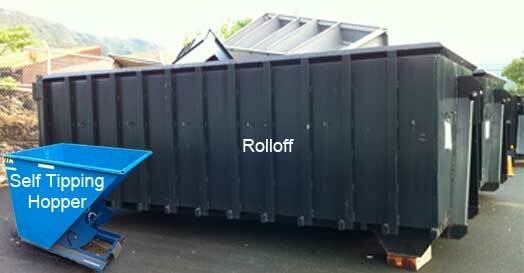 These items should be deposited in the large green dumpsters and will be transported to H-Power for disposal. 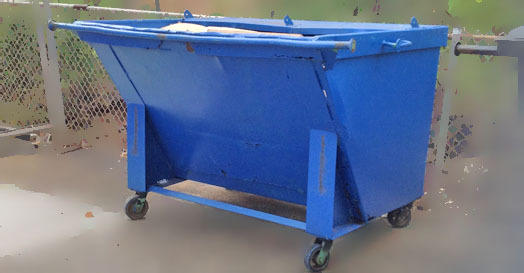 All old corrugated cardboard (OCC) should be flattened and placed in these blue dumpster located throughout the campus. No single-layer flatboard, such as cereal boxes and tissue boxes are accepted by our recycler. Please see our map above for exact locations. 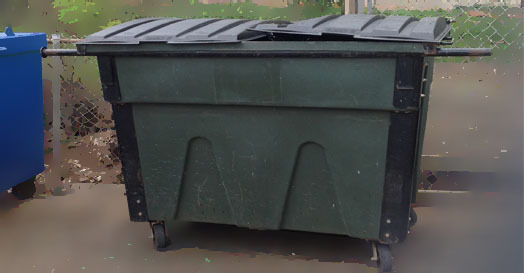 Bins are emptied every Tuesday and Friday or as needed. Metal cans, aluminum & steel: rinse. Glass bottles & jars (includes containers for beverages, wine, spirits, food): rinse, remove and discard lids and tops. Plastic containers (#1 and #2 only; look for the plastic number code in a triangle embossed on containers): rinse, remove and discard lids and tops. No Starbucks cups, Jamba Juice cups, bubble tea cups, plastic bags, napkins, plate lunch plates and utensils. It is permissible to place refuse and non-recyclables in these receptacles. Completing an eFacilities AiM Work Order, arranging for pick-up at your office by Facilities-Trucking. 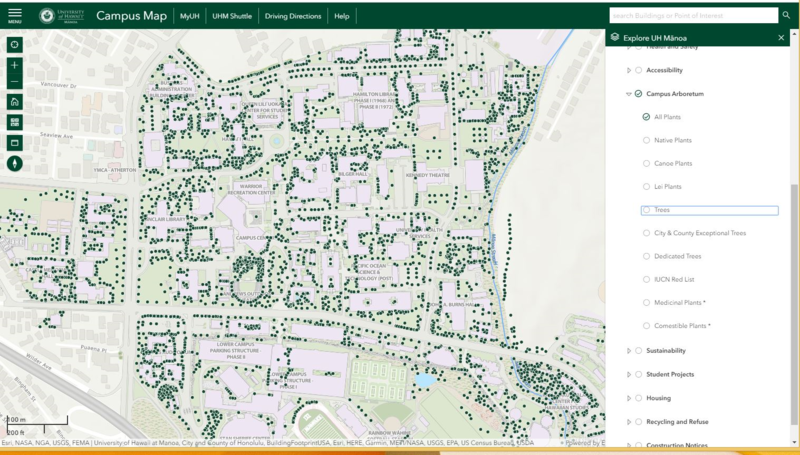 Completing an eFacilities AiM Work Order, and calling BGM-Landscaping at 956-7922 to arrange a time and place to pick-up ewaste near your building. 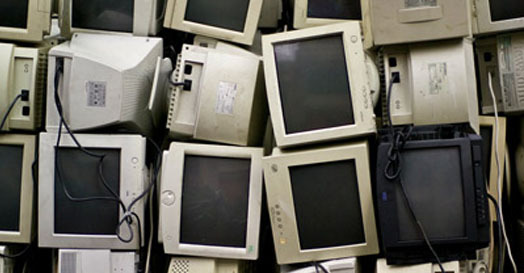 Any brand of device may be recycled, but prior to arranging for disposal, you must adhere to all the program requirements listed on the Quarterly Program webpage, which includes a link to a list of the acceptable/non-acceptable equipment. Used furniture is gathered from the campus community via customer work request or as abandoned on campus. Furniture that is damaged and deemed unusable is recycled as metal or disposed of at the landfill. Furniture that is in good conditioned is palletized and weighed and logged as a recyclable. This usable furniture is donated to the State of Hawai‘i Procurement Office Surplus Warehouse. Move in Move out protocol for faculty and staff. 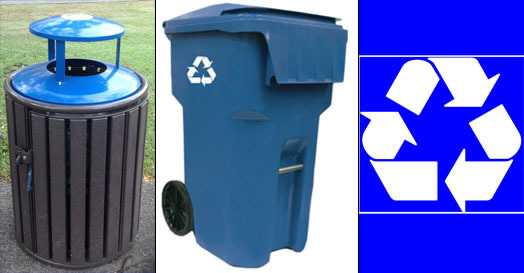 Get recycling receptacles for your building! 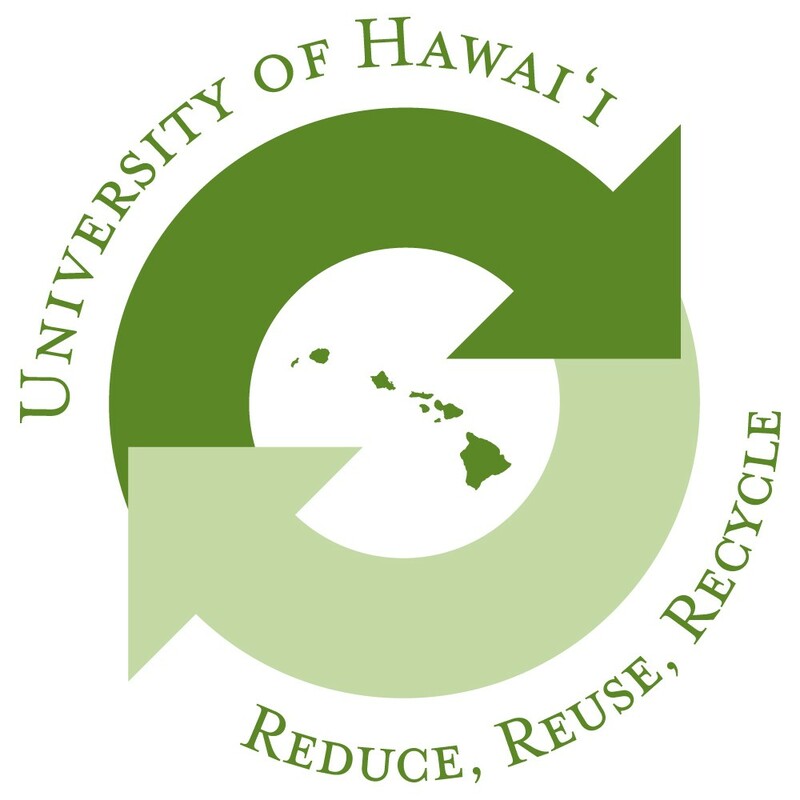 Download an application to participate in the University of Hawai‘i Volunteer HI-5 Recycling Program here.